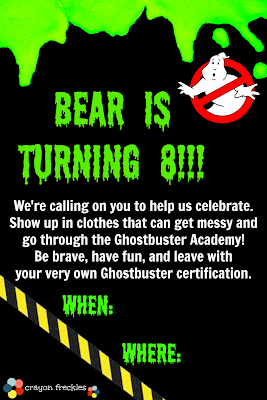 When I set out to plan a Ghostbusters birthday party, I was highly ambitious. But as the date grew closer, I got behind and started panicking because I hadn't gotten anything made yet. 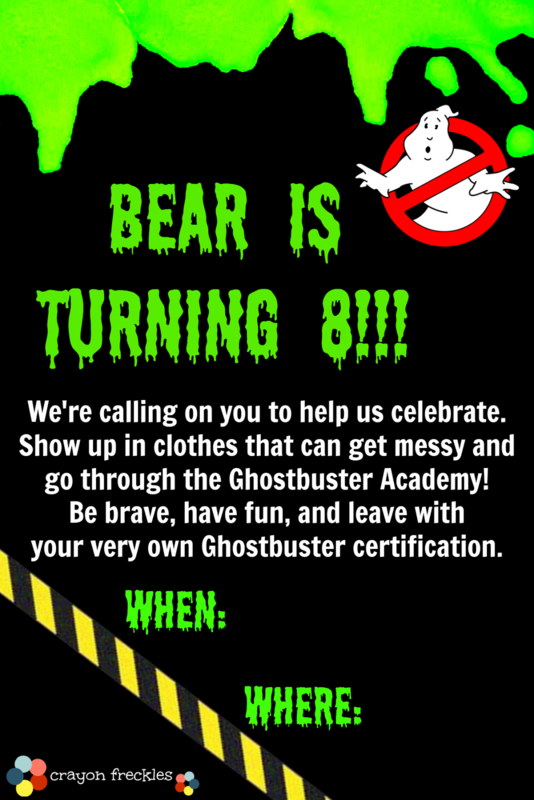 We hit our local party stores, and surprisingly, they didn't have a single Ghostbusters party item. No paper invitations, no decorations, nada. I had no choice... When you can't buy it, you gotta make it! Here's what I ended up with. 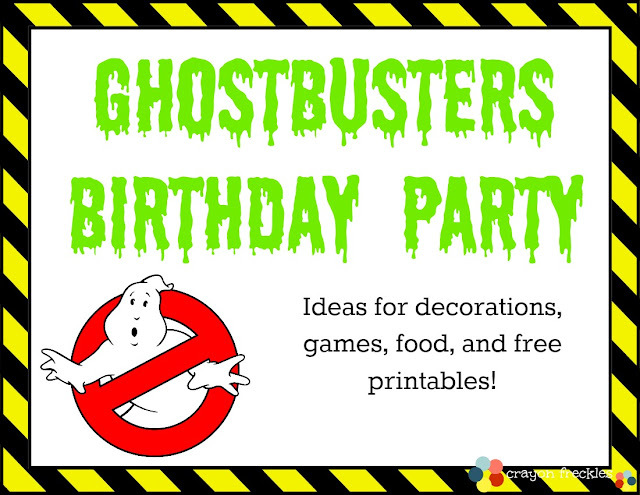 You'll also find the Ghostbusters birthday party printable pack to use at your home or for a Halloween party! I decorated the front door with a Ghostbusters Training Academy sign, some caution tape from Dollar Tree, and "slime" cut from a lime green tablecloth. 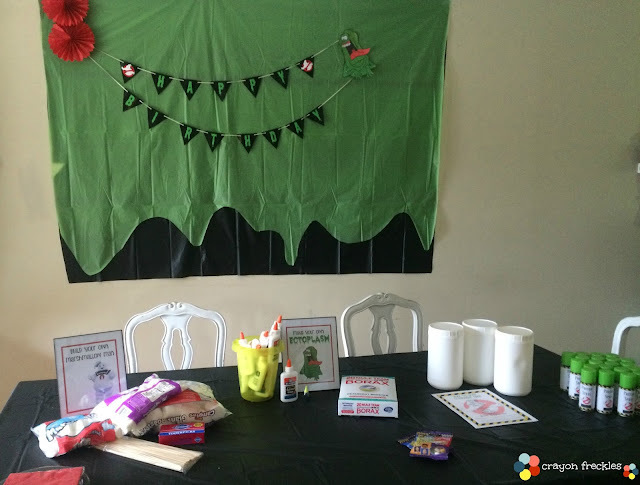 Here's the activity set-up that greeted our guests. 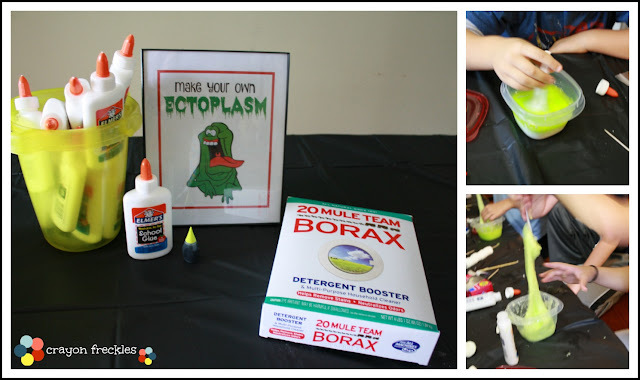 Next, the kids made their own ectoplasm. We used this recipe here. 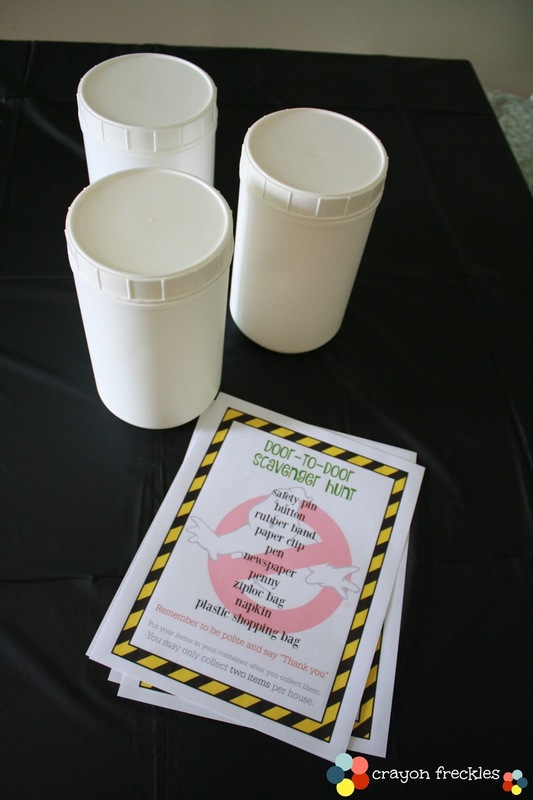 I provided toss away Rubbermaid containers for them to mix and store their "ectoplasm" slime in. Each child got to mix up their own little batch (with me measuring ingredients). We added neon green food coloring to the mix so that it looked just like the slime from the movies. 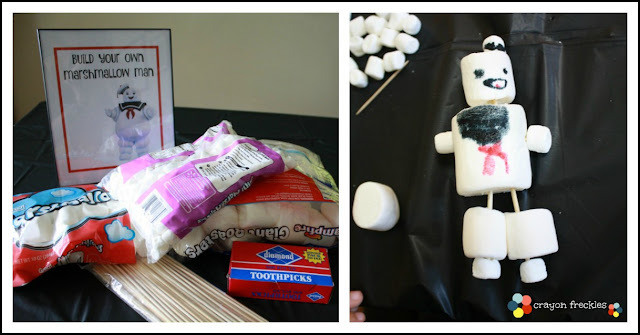 The kids thought it was cool and gross all at the same time! 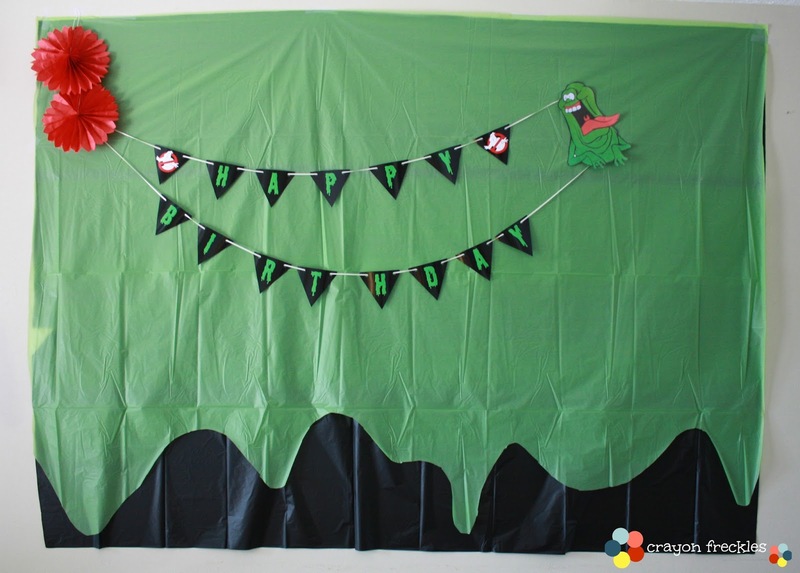 We ordered pizza since it's one of Slimer's favorite foods. 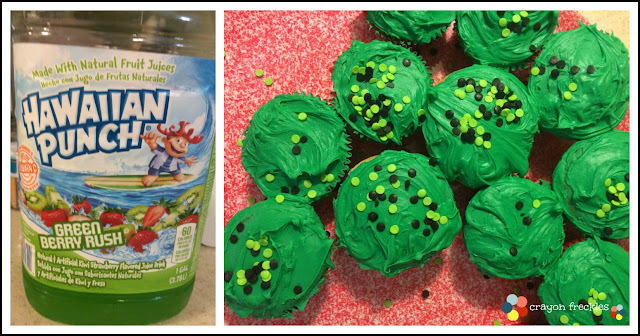 Then they enjoyed some "Ecto-Juice" and green cupcakes. 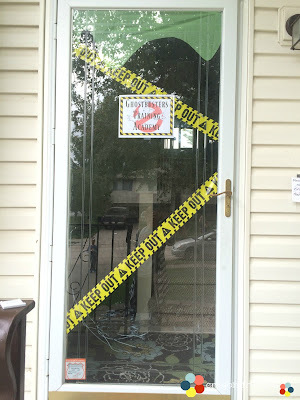 I had planned on them doing a little scavenger hunt on our street since several of the kids are our neighbors, but we didn't have time. So I saved the sheets for them to do some weekend when they're bored. Our last activity was a mess. Remnants of it are still stuck on our cement 3 weeks later. But they had a blast! 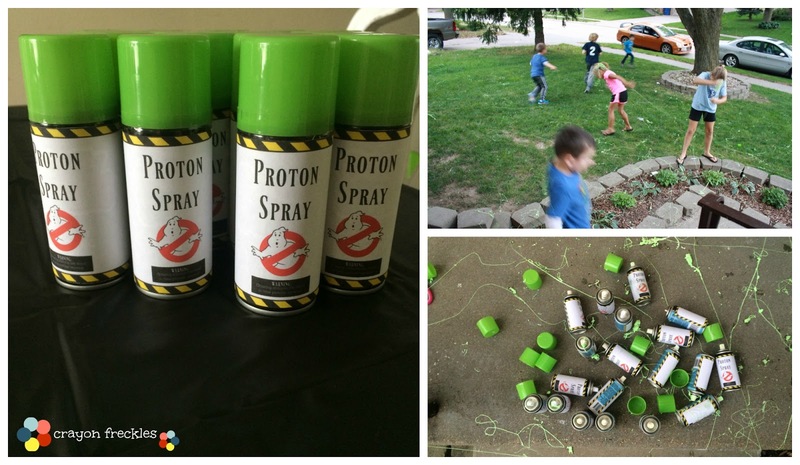 I got enough green silly string from Dollar Tree to make "Proton Spray" for them to have a silly string fight with. It was definitely everyone's favorite part. We didn't do goody bags. 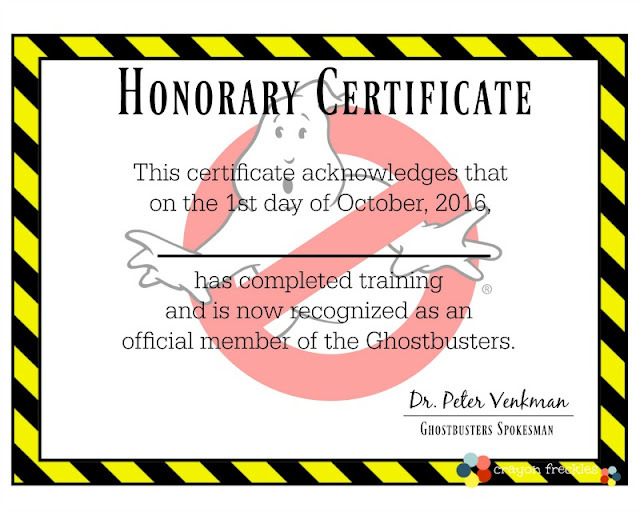 Instead, I put their marshmallow men, their "ectoplasm" slime, and a Ghostbusters certificate in a red paper bag for them to take home. Several of the kids said it was the best party they'd been to. I had a lot of fun watching my son and his friends have a good time getting messy and having fun. Those are the best parts of childhood! If you're planning a Ghostbusters birthday party, you can find the free printables I created below.